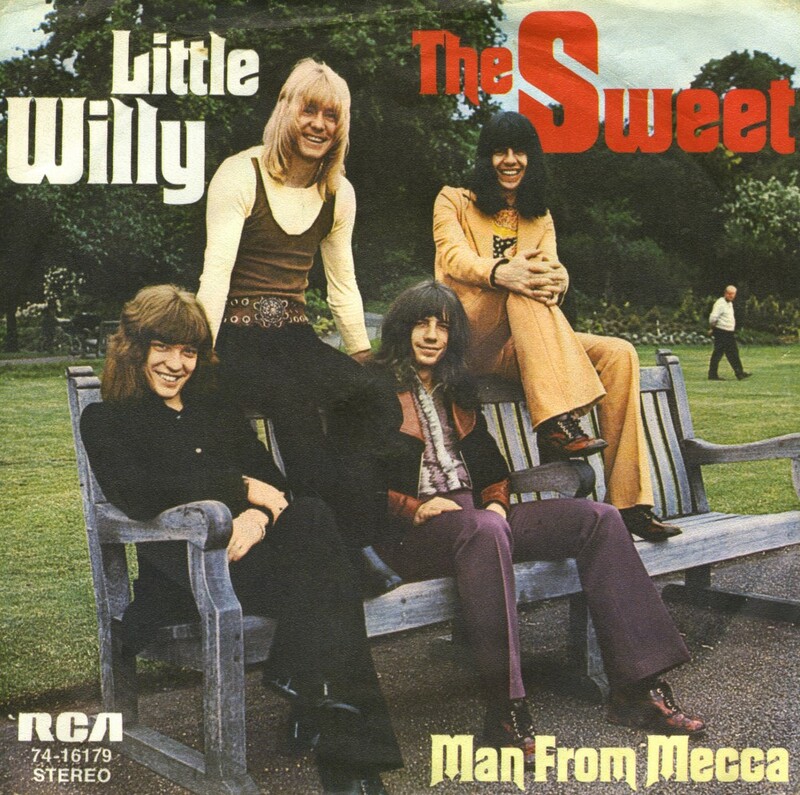 The song title 'Little Willy' has to be one of the most obvious double entendres of the Seventies. Still, the Sweet got away with it when they released the single in 1972. Like most of their hit singles right up to 1974, the song was written by Chinn and Chapman, who gave the band a rather lightweight pop image. The band members themselves also wrote songs: these heavier rock tracks were always relegated to the B-side (as on this single). 'Little Willy' reached number 4 in the UK singles chart, and went number 1 in Germany. In the Netherlands, the single got as far as number 7. 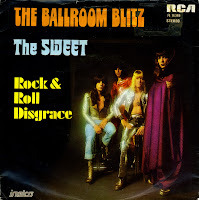 The Sweet were a popular glam rock band throughout the Seventies in the UK, racking up no less than 10 top 10 hits, including one number 1 hit. 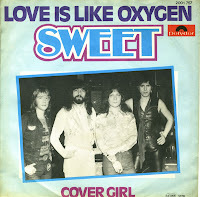 'Love is like oxygen' was their last hit single, peaking at number 9 in the UK singles chart. The single was released after the band had switched labels and took on a different style, comparable to Electric Light Orchestra. Indeed, 'Love is like oxygen' is often mistaken for an ELO song. In the Netherlands, the single peaked at number 16. I think I've always liked the song, but I did forget about it for a couple of years. When I heard it again in the early Nineties, I started to look for this single. It took me ages to finally find it. 'The Ballroom Blitz' was written by Nicky Chinn and Mike Chapman. It was released as a single in 1973, where it reached number 1 in Australia and entered at number 2 in the UK singles chart but failed to go to number one. The song reached number 5 in the United States and number 4 in the Netherlands. The song itself was written about the Grand Hall of the Palace Theatre in Kilmarnock, Scotland, after the band was forced off stage by a barrage of bottles. 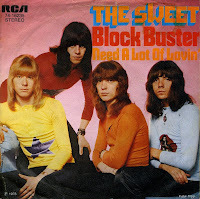 'Block Buster' was released by the Sweet in 1973. It became the band's only number one hit in the UK, whereas it was their third (and last) in the Netherlands. Although the lyric seems to refer to a person ('Nobody knows where Buster goes / He'll steal your woman out from under your nose'), the song features the sound of air raid sirens, alluding to the blockbuster bombs dropped in World War II. The Sweet was very popular with my brother and sister in the Seventies, and although I never really 'got' that, some of their tracks are pretty nice. I bought this one because of the nice sleeve and the great song.